Performex was founded in 1978 in Irvine, California, and we continue to offer Orange County leadership development and organizational development solutions today. Through open-enrollment leadership development workshops and custom on-site programs developed for our Southern California clients, we are proud to support the development of West Coast leaders and secure future innovation within t state. How can Orange County organizations benefit from partnering with Performex? Performex understands winning organizations are composed of engaging leaders at all levels – from the front line to the C-suite. Most managers grow into leadership from individual technical roles based on their excellent business results. For these highly trained technical managers to achieve the next level and transform into Real Leaders, behavioral change is key. Are you interested in investing in the development of your top managers? Consider enrollment in one of our upcoming sessions of the Summit Leadership Excellence Program. View upcoming program dates and register today. Are you seeking development for multiple technical managers? We are proud to offer core partnership solutions, with discounted pricing for client organizations registering multiple participants in our open-enrollment sessions. 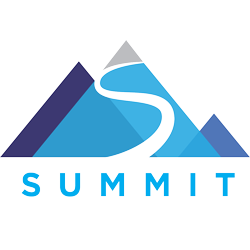 Summit’s leading content customized and delivered on-site to best meet the unique challenges of your organization or function.